Posted by Jason Ellis on Monday, August 31st, 2015 at 1:25pm. 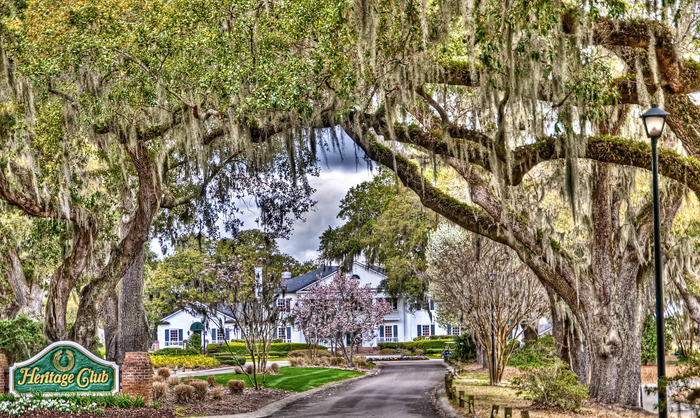 When thinking of natural low country beauty the unspoiled “Avenue of the Oaks” of Heritage Plantation is the first thing that comes to mind. Situated on 637 acres of the previous True Blue and Midway Plantation’s, Heritage Plantation is a spectacular reminder of the rich South Carolina rice culture. While lush giant magnolias, fresh water ponds, marshes, and wetlands are bountiful at Heritage Plantation, the 300-year-old Spanish Moss crowned live oak trees are a sight on their own. 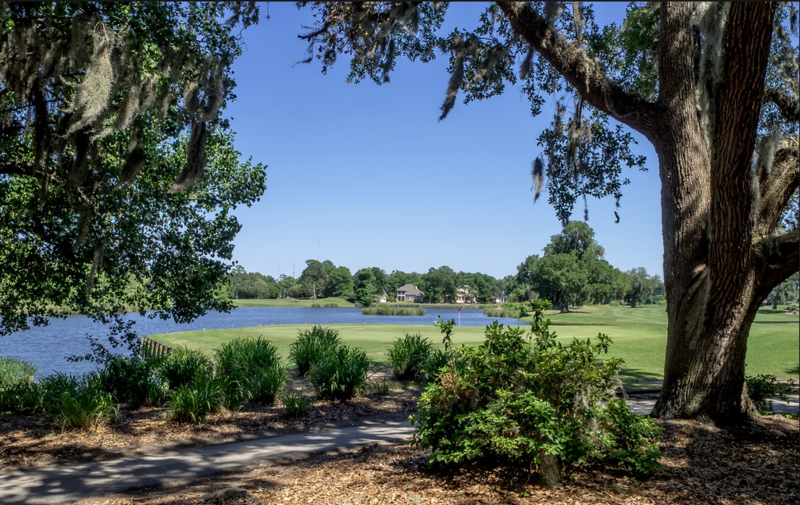 Taking second place behind the majestic low country beauty of Heritage Plantation are the available real estate offerings. With only 512 homesites on the sprawling 637 acre plantation privacy and a congested free lifestyle is afforded to all property owners. While there are no condominiums or “villas” at Heritage Plantation, the patio home section is a perfect option for those future residents looking to downsize. The custom and estate home sections have some of the most masterfully crafted homes along the Carolina Coast. While vacant land is scarce at Heritage Plantation, there are some beautiful homesites available for sale. You can buy your land now and build whenever you are ready. The amenity package available to all property owners leaves little to be desired. Access for owners and their guests at a spacious Owners Clubhouse with a pool, hot tub, fitness area, playground, and 4 Har-Tru tennis courts are included in your yearly homeowner’s dues. 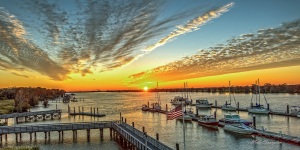 Also inclusive of your homeowner dues is access to a spectacular Intracoastal Waterway marina and a large social area with a full time dockmaster. Please see the dock master for information on the wet and dry dock storage options. A blog post about Heritage Plantation could not be complete without talking about the Par 71 Dan Maples designed golf course. Golf Digest ranks Heritage Club among the “50 Best Public Golf Courses in America”. Following the natural contours of the land, running along the long abandoned rice fields, the spacious fairways and large undulating greens are sure to provide one of the most enjoyable and scenic golf experiences. While play at Heritage Club is open to the public, membership options are available for property owners. For a tour of Heritage Plantation or any of the homes below contact you of our onsite sales professionals.